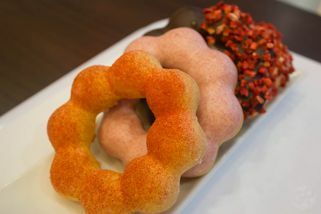 Inspired by ideas from Japan, Qooz Café gives a whole new experience for lovers of donuts and quick bites. 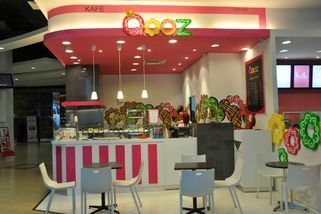 Nestled on the second floor of Wangsa Walk Mall, the café offers a selection of cute and vibrant donuts (they call them Qooz rings! 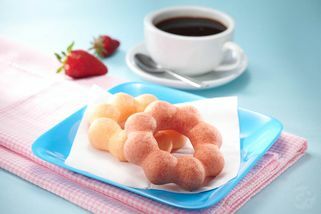 ), fried snacks and their famous hot and cold beverages, including Fresh Brew and Peach Tea. 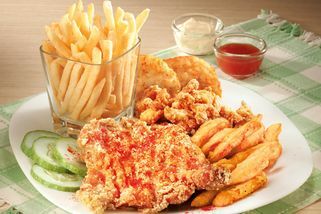 From little children to working adults, their avid patrons come back for home-made, preservative-free delicacies which are made using original recipes. 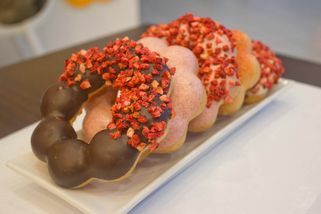 There is no doubt that the uniquely delicious, chewy and colourful donuts are definitely the crowd favourite. Though it is quite a hidden treasure, do stop by and embrace the food as well as the vibrant, pink interior design, created personally by the owner who loves the colour! So, wait no further; go and grab yourself a Qooz ring now! 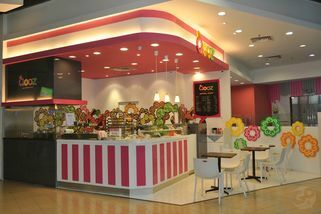 Opens daily from 10am-10pm except on Friday and Saturday (10.30pm). It's chewable (like having chewing gums in your mouth, but the different is you can swallow them!) and very tasty. My favourite is Chocolate Dip with Strawberry.